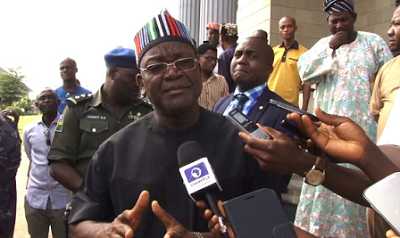 Defend yourselves against killer herdsmen, Ortom tells Benue people, demands IG of Police’s resignation – Royal Times of Nigeria. The Benue state governor, Samuel Ortom, has asked residents of the state to defend themselves so they do not continue to be an easy prey for their attackers following the repeated atacks carried out by suspected herdsmen in the state. While speaking in a radio programme titled, ‘issue of the moment’ in the state on Tuesday, Governor Ortom said that in spite of the presence of policemen in the state, killings were still ongoing in the two local government areas. He said, ‘It is because we are law abiding that is why we are being attacked daily. You need to listen and hear the opinion of the people of the state on the matter. I think the people should have the right to defend themselves and not make themselves easy prey to be killed in their homes. So any lawful means you can adopt to defend yourself just go ahead in Benue state. We are not going to wait for the Inspector General of Police, IGP, to do it. It is unfortunate, the Police are dying and the Inspector General of Police is playing politics with the issue. The man should resign because he has failed woefully. He doesn’t have the capacity. There are many good Police officers who can take over that job and perform creditably by turning around the security architecture of this country and make thing work and protect lives and property. That man has no business being the IGP,”.